Have you seen this portrait somewhere? Does any one recognise this portrait of Theophilus Sandford. Where is the original? 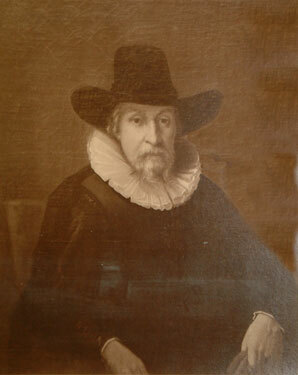 Tom Wills-Sandford has this copy made photographically from a portrait of his 8 greats grandfather Theophilus Sandford (died 1668). 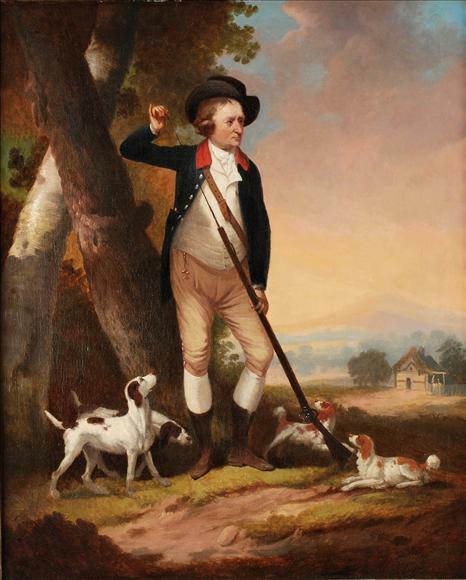 The original portrait was in his family for about 280 years until around 1930 when it was sold. 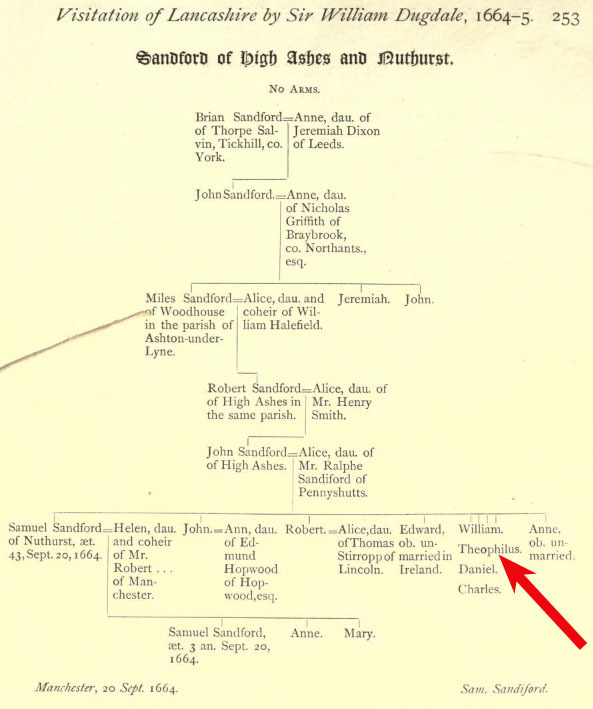 Theophilus Sandford is almost certainly my 7 greats grandfather so I am interested in helping Tom locate the original. Both Tom and I would really appreciate any information about the location of the original of Theophilus's portrait. see also: Henry Sandford, James Sandford, High Ashes, No1. Royal Crescent. Theophilus came from a cadet branch of the Sandford family of Askham in Cumbria. His father John Sandford lived at High Ashes in Audenshaw just to the East of Manchester. Samuel was aprrenticed as a mercer in London, and after becoming a freeman he set up house at nearby Nuthurst and in 1664 he provided the following family pedigree to Dugdale for his Visitation of Lancashire. 2 This page image comes from The Internet Archive's copy of Remains, historical & literary, connected with the palatine counties of Lancaster and Chester. Published 1844 in [Manchester] by the Cheetham Society..
Notice how Samuel's name is spelled Sandiford at the foot of the page. Also note that Alice was daughter of Mr Ralphe Sandford Of Peenyshutts. I wonder whether they were disant cousins. The Brian Sandford of Thorpe Salvin, Yorkshire, shown at the root of the tree is descended from the Sandfords of Askham. I am constructing another page showing this descent. Samuel Sandford was apprenticed on 20 Jan 1642/3 to Edward Basse, a Mercer of the London Livery Company. The bond length was 7 years. His father is recorded as John Sandford Gent of High Ashes, Lancashire . He beacme a "New Feeman" with status of Co Mercer on 4 October 1650. Another source4 states that this Robert died before 1658, for his widow Alice Stirropp remarried and had a son in 1658.. If that is correct then it would seem that Dugdale omitted to record ob. against Robert as he did for Edward and Anne. Four Sandford males living in the Audenshaw disctrict signed: there were 2 Johns, a Wils, and Theophilus. This would seem to correspond to the father John Sandford of High Ashes, John the 2nd son, William the 5th son, and Theophilus the 6th son. Presumably Samuel, Robert and Edward were not at home, and the 7th and 8th sons Daniel and Charles were also away from home or considered too young to sign at ages between 15 and 17. Although males of 14 were expected to sign. Since Theophilus was christened in Nov in 1624 as stated in reference 1 then he would have been 18 or 19 in 1643. It is worth noting that only about 5% of males were were able to sign their names - the rest made their mark. All 4 Sandfords wrote their names. Clearly the Sandford boys learnt to write. The letter was summarised by W.O Hewlett as follows, "1649. 2 July . High Ashes. Theo. Sandford to Col. Moore. Offering to raise a Company of foot for Col. Moore's regiment (Seal.)" I have not been able to establish whether this offer was accepted and carried out. Cromwell's army went to Dublin in August 1649, and after ensuring the security of Dublin, and sieging Drogheda, Cromwell went South towards Waterford. The next that we hear of Theophilus he was bringing reinforcements to help with the campaign on the South coast. Had Theophilus been sent back to England to collect this large troop? After the Parliamentarian army had suppressed the forces of the Irish Catholic Confederation and the Royalists in Ireland, Cromwell's Rump parliament made settlements of land to the soldiers in the Army in lieu of money for their services. However, the administration of the land settlements gave rise to disputes and considerable disatisfaction, whch rumbled on for years. To provde funds for the surpression Irish rebellion of 1641, the Long Parliament had in March 1642 raised loans from "Adventurers" which were to paid back with lands confiscated from the rebels. 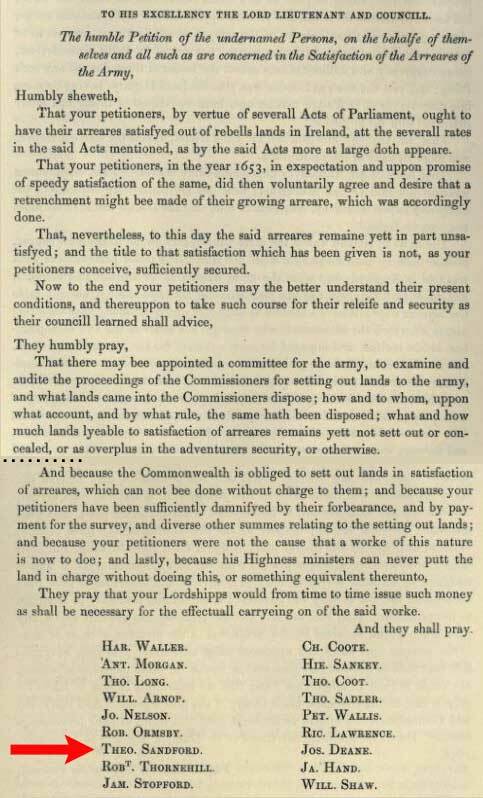 Then, with Cromwell's invasion in 1649 there was an even larger body of creditors to be paid - the soldiers in the army, and the procedure to be followed by Commisioners was initially laid out in the Land Settlement Act in 1652. To provide legal maps of ownership William Petty was commisioned to undertake the famous Down Survey (1655-1656) of all the confiscated lands. 9 A Collection of the State Papers of John Thurloe ...: 1658 to 1660 By John Thurloe, Thomas Birch page 291. The chief feature of his civilian administration, which lasted from September 1652 till September 1655, was the implementation of the Act of Settlement 1652, which decreed the settlement of the New Model Army's soldiers on the confiscated estates of Catholic landowners and the transplantation of the original owners. H Cromwell, l W Steele canc, Ri Laurence, Richard Laughlin, Wm Purefoy, J Bligh, Jo Bridges, Lan Bolton, Robert Gorges, Fran Russell, William Bury, John Nelson, Je Sankey, Theo Sandford, Will Sonds, Edehort, Thomas Longe, J Waterhouse, Henry Flower, R Hart, William Amos, Ant Morgan, Dud Loftus, Fran Aungier, Miles Corbett, J Temple, Edw Roberts, Jo Hughes, Thomond, Meath, Francis Russell, Ed Watson, L Abbott, Edw Roberts, Vin Gookin, Hen Owen, E Hughes, Ranelaugh, James Standish, J Eyre, Will Hampden, Henry Whalley, John Read, R Pepys. I have gaven links above for those persons I can identify: An illustrious group! After the restoration of Charles II, the Parliamentarian Acts were torn up and the 1662 act of settlement in which Theophilus is specifically named replaced the 1652 Act. It still confirmed most lands acquired under Cromwell, but did restore some lands - not to Catholics but to Protestant Royalists. Interestingly there is a subsequent note on page 24 of the same reference to the effect that on further search these leased lands were granted to Theophilus Sandford and his assigns for ever by a patent dated 14 June in the 21st year of Charles 2nd. which would be 1669. That is the year of Theophilus's death when his estate would be being sorted out. St Katherines Parish - Theophilus Sandford Esq/ Rich: Tyth. Tighe seems to have been miss-recorded as Tyth. In 1663, there arose a general clamour in the Pale against the proceedings of the Court of Claims sitting at Dublin; the cause being dissatisfaction with the execution of the Act of Settlement ; and some of the boldest spirits resolved to maintain by the sword, the Estates which they enjoyed. A great many Colonels and other officers that served in Cromwell's Army, and in the Armies of the Confederation, entered into a conspiracy for this purpose; and a Private Committee was chosen for the supreme direction of the affair. Among the men that composed this Committee were, the above Lt.-Col. Able Warren, Col. Shapcote, and Capt. Sandford. 14 The Duke's Papers which were afterwards collected the historian Thomas Carte (1686-1754), and are now held in the Bodleian Library in Oxford where I examined them. The Second Examination of Captain Theophilus Sandford [concerning the late traitorous conspiracy] Written from: [Dublin] Date: 1 June 1663. Theophilus died 6 Feb 166821 so assuming this to be the old style year 1668/9 he would have been age 45. His son and heir Henry was probably in his teens. But Henry's grandfather, Richard Tighe lived another 5 years, and may have been on a position to help guide his grandson with his resposonsibilities for the lands at Castlerea. Through these landholdings some of Theophilus's descendants became MPs in the Dublin Parliament. Theophilus's son Henry being the first to represent Castlerea. When the Dublin Parliament was disolved in 1800 and Ireland became directly ruled from the Westminster parliament, "The Union", many of the MPs where elevated to the House of Lords. Amongst these was Henry Moore Sandford who took the title 1st Baron Lord Mount Sandford. This page was updated on 10 Jul 2014 with corrected christening dates for Theophilus and his brothers, and the addition of the will abstract for Theophilus . How did I come to make contact with Tom Wills-Sandford? In 2010 I found this portrait of Henry Moore Sandford for sale at a nearby auction house. This is the Henry Sandford of Castlerea who was made1st Baron Lord Mount Sandford, when the Irish Parliament was abolished in 1800. The picture was painted in Bath in 1785. This discovery lead me to make contact with my distant cousin Tom Wills-Sandford. Tom knew the picture of Henry Sandford which had been part of his family's collection. I then vistited Tom's house and saw the copy of Theophilus's portrait, which is shown at the top of his page. Tom's grandfather had made the copy at the time the original of Theophilus's portrait was sold around 1930. Tom Wills-Sandford for recently stoking my interest in Castlerea and providing details from his archives. Roc Sandford and Roger Grant for sharing their archival material especially that relating to searches by our forefathers on the family tree.